Round 2 of Sock Madness was a pattern called Reversai. It’s a totally reversible sock with a knit/purl stitch pattern on the cuff, a garter stitch short row heel, and a garter stitch sole. Did I mention they released the pattern on Monday morning? I’ve worked every day since then and I arrived home from work today to find that I’m out. In truth I was a bit relieved. I wasn’t enjoying knitting these at all. Now is when I should mention that the photos above were taken in the opposite of the order posted. 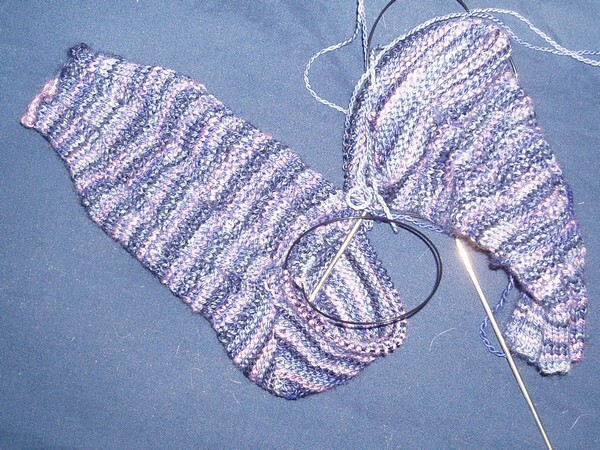 The socks knit over 72 stitches – even on size 1 needles – were going to be way too big. I also really dislike the way short row heels fit on my feet, and I can’t imagine ever wearing a sock with a garter stitch sole. No thank you! 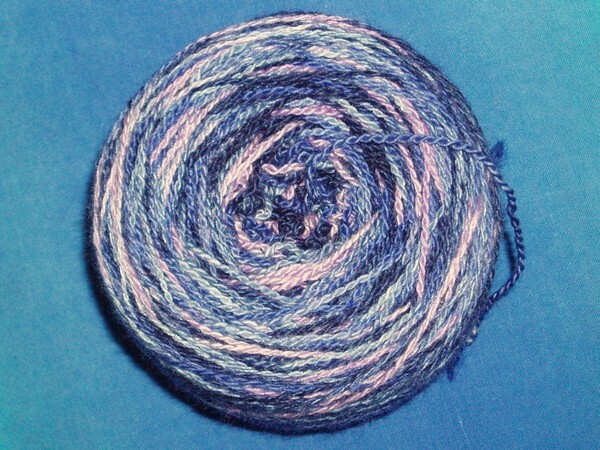 The yarn was just too pretty to waste, especially since you can’t see the stitch pattern at all. This leaves some needles and yarn free for endeavors I’m likely to enjoy more. I’ll probably knit more of the patterns, but only if they are something I *want* to knit. I was really upset that they pulled that April Fools joke…..I decided to bow out since I am waaayyy too busy right now to drop everything and just knit! Did you make it on to round 3? I love that colorway! It’s so pretty.